I paid $1600 all in, but I heard another member paid a little bit less, but there's some family connection there, so good luck getting that price! yah I am picking up my TC next saturday by the looks of things... and Im going to need snow tires on the quick time. Ill have to give steelcase a call, ive dealt with them before. Good guys. I have 235/45-17 snow tiress sitting around and would love to use them. Ecotecbreed and others have said 17" Cobalt wheels will fit with a 3mm spacer. Anyone think the wider 235s will fit and not rub? Thanks for the info! I just got an SS/TC sedan!!! I paid 1300 taxes in for 17" Fast Wheels Salsa's 45 offset and pair of mid grade winters at deals 4 wheels... They fit with no spacer... 3.5 mm of clearance. 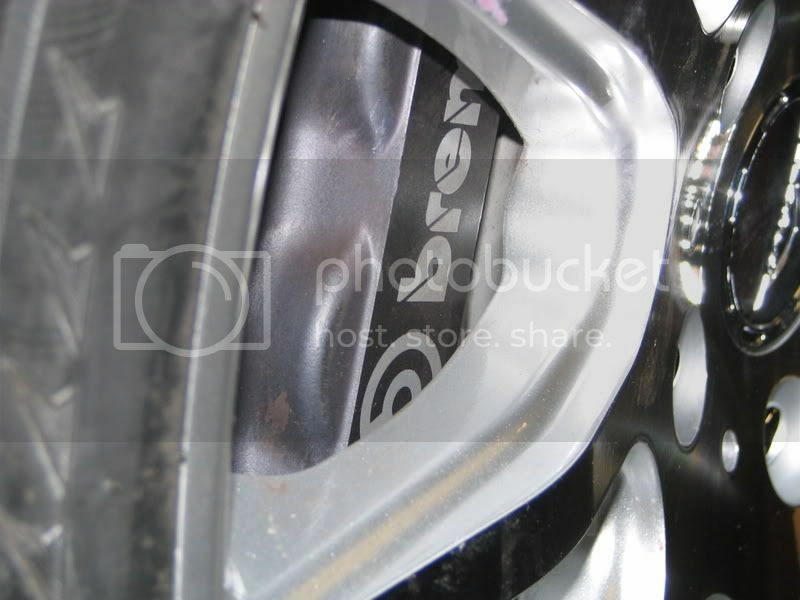 40 offset wont cut it... but I like that rim... but then again I like Nascar... Great Auto X rim for the balt. Just add racing rubber. I had to go with a 45. So can you tell us what you got? Okay, I found that you ordered Elbrus 105s. Looks good! 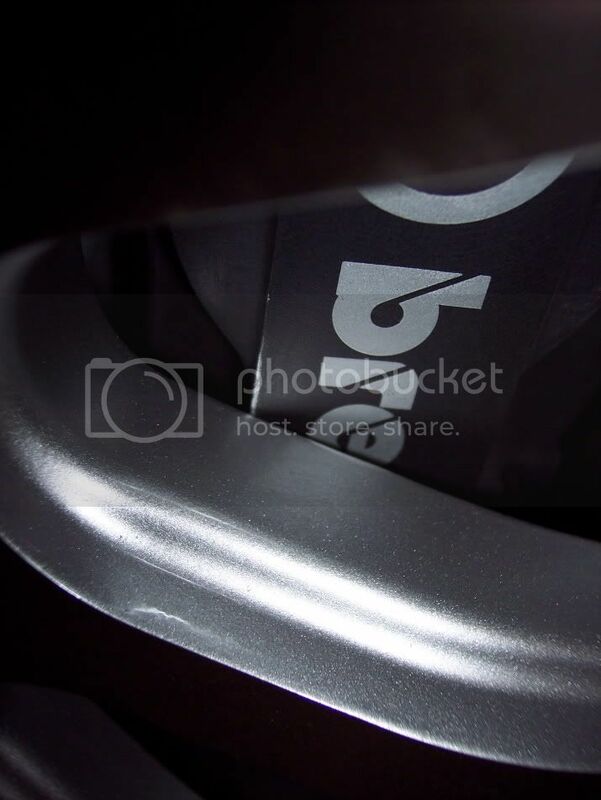 I also ordered the 17x7.5" Elbrus 105s from TireRack and they shipped yesterday. I should get them Monday. I'm putting 235/45-17 winter tires on them. The 17x7.5 Elbrus I05 wheels are mounted (without spacers) and work, but boy are they tight. 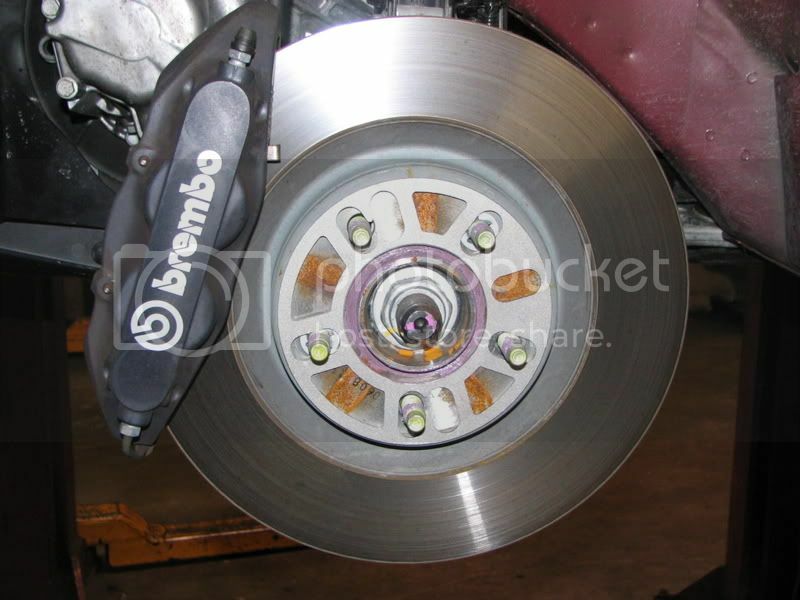 It looks like they are just barely scraping the right caliper. 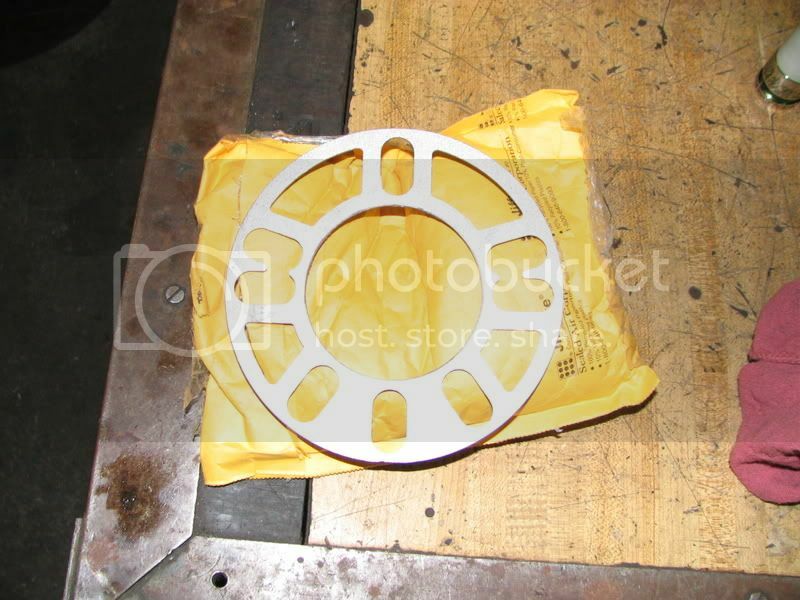 I am putting my Elbrus I05 on as I speak, will wait and get 3 mm spacers. 1 business card but not 2 will fit, don't want to ruin calipers. Hope I have enough thread using these 3 mm spacers, will torque several times to make sure they don't loosen up. If not will get longer studs and bullet lug nuts. should have by Friday. Tire rack says this is a fitment problem (Elbrus I05) and wants me to send the wheels back. They don't condone spacers. 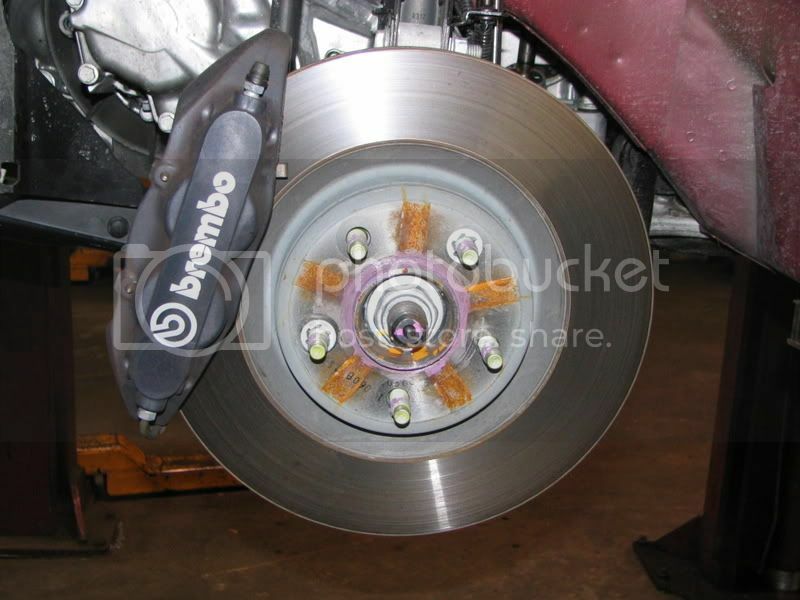 Great I ordered those spacers for nothing and Wynand they marked your calipers up . This will be the second set of snows going back to Tire Rack, I will wait till I see them fit some wheels correctly. I wouldn't worry about 3mm spacers. I'd keep em. Talked to tire rack today they said either return everything for a credit, or try the 3 mm spacers. That's also what they told me ... until they realized that the wheels were already mounted on the car. Then the "return for credit option" was no longer an option. So I will be using 3mm spacers on the front. I guess I'm okay with that. 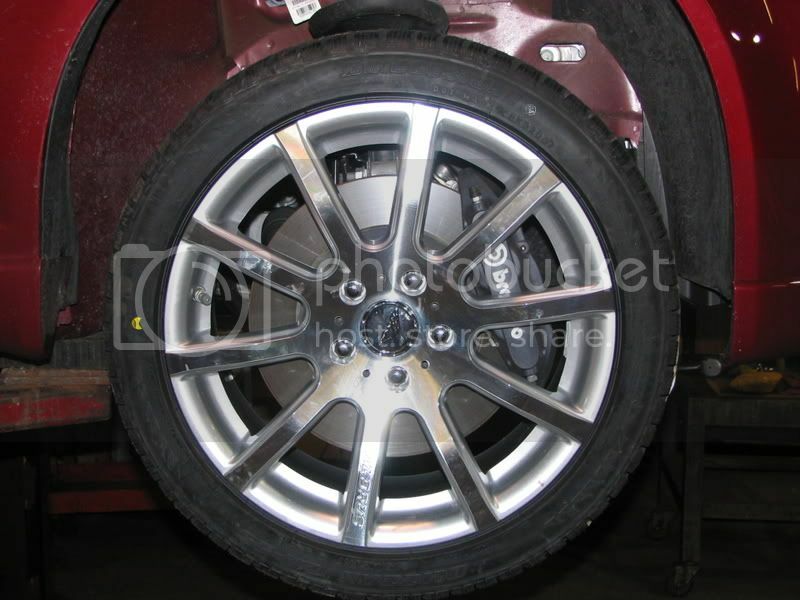 I was so happy to spend $2600.00 outfitting my car with winter tires and rims which would fit over my big F'in brakes! dumb engineer, great brake though! How much does a "Brambo" sticker cost? 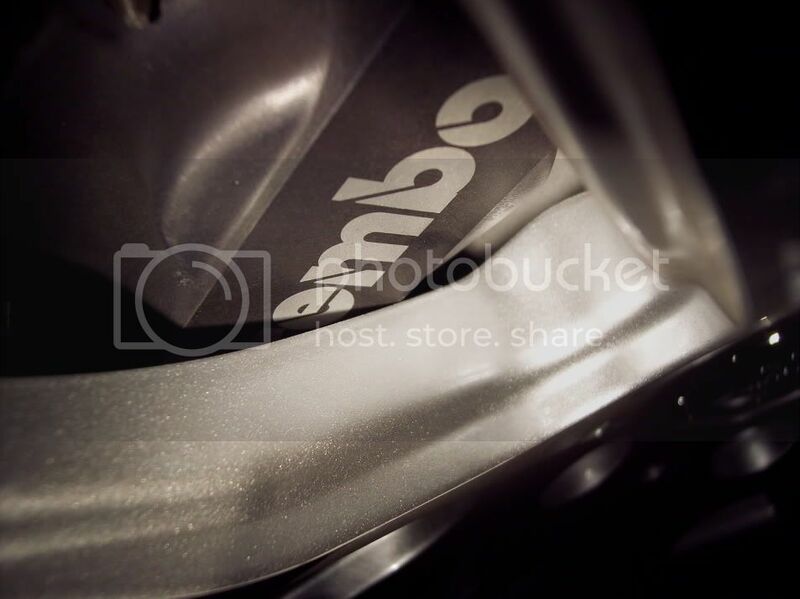 Who would want Brembos when you can get some high quality Brambos at a fraction of the price? Send a private message to Koz! Find More Posts by Koz! With the spacers I got about 4.5 revolutions of thread on the lug. FYI, the stock 18" wheels/tires are 45 lbs and the 17" Elbrus with my 235/45-17 Dunlop Winter M2s are 46 lbs. First off I say that's to close, better break out a file or grinder and take some meat off the caliper. 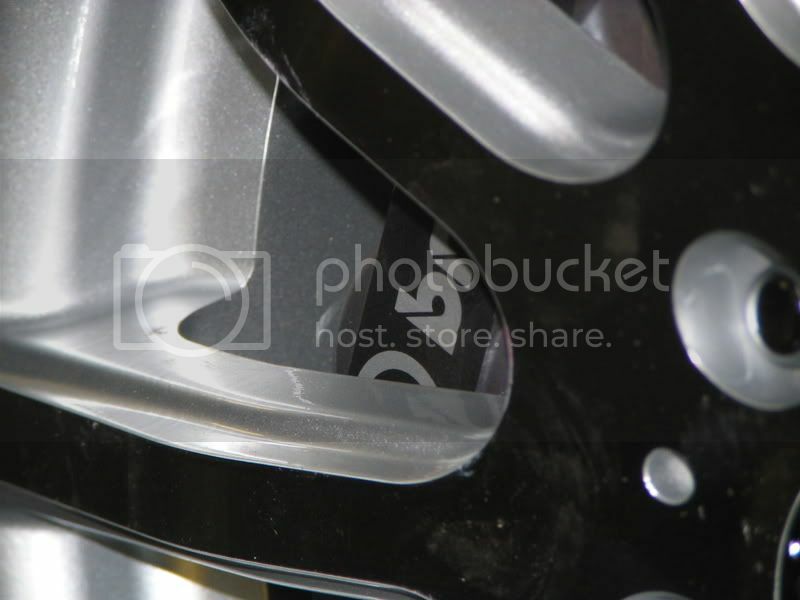 Also pics of the wheels mounted on the car please. Installed my Elbrus I05 17" wheels with Blizzak 215/45R17 LM25 did need the spacers in front will try to give a detailed way of how it went. 1st removed wheel and lubed hub & studs with Bendix ceramic hi temp lube 3 mm spacer 3 mm spacer on hub finished clearance Did tire pressure monitor relearn, torqued wheels to 100 ft lbs drove 40 miles and re torqued again, these tires were great on the highway should be good in snow. 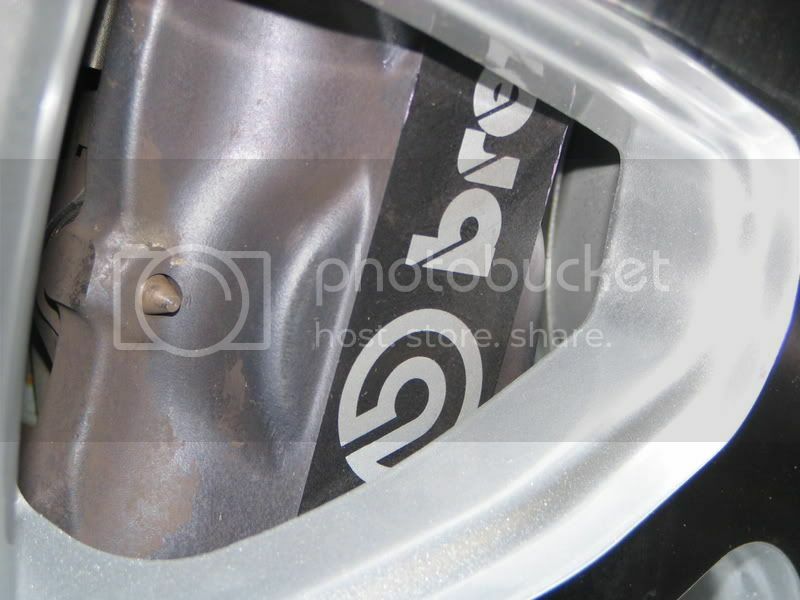 Other than Tirerack, does anyone know of a website that sells wheels that fit the TC without needing spacers? I'm not too wild on any of the designs available so far, I like the Superleggeras, but not enough to spend the money on.